Rent detached villa castle district. 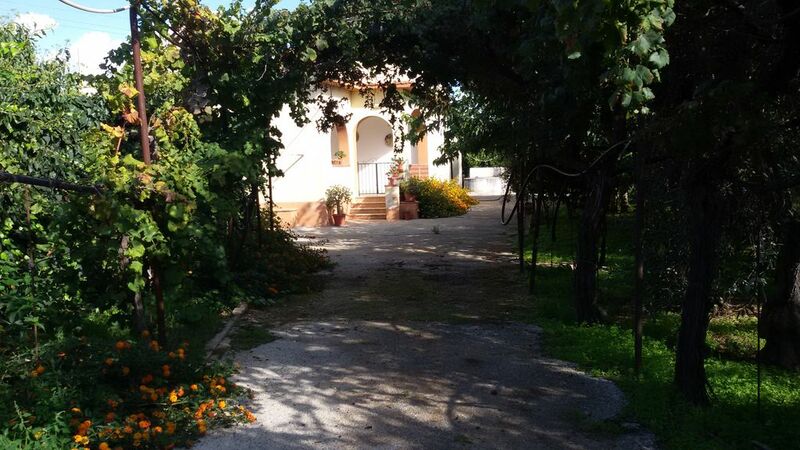 It is immersed yourself in the green among many orange trees and limoni.é composed: two bedrooms, living room kitchen, bathroom, and a nice veranda where we can 'rillassare also a shower outside. THE center of the town of Sciacca is located about 5KM where at night there is a lot of influx of people. Where you'll find souvenir shops, and many restaurants where you can eat freshly caught fish. The more 'nearby beaches are Maragani, and St. Mark's Square, just a few minutes to get there. Then not so far going to menfi you will find the beaches of Lido flowers is portopalo all sandy beaches, which are very popular. The castle villa is located between the temples of Agrigento and Selinunte that you can visit. Going to Agrigento at about 20 minutes you can visit the Turkish frequented by tourists scale. Rent villa castellana. The villa is immersed yourself in the green among so many trees of oranges and olives. The village center is located at km 5. The villa is about 4km from the sea, where you will find a sandy beach, white, and bright which is popular dafamiglie and is easy to get there. This is served by bars, restaurants and various consultation. The villa consists of two bedrooms, a kitchen with dining room, and a veranda where you can 'dine, with view in the orchard, and a shower both internal and external. The villa is equipped with washing machine, oven, TV and optional linen and bath towels. The villa is located between the temples of Agrigento, Selinunte and that you can visit.